Automatic (and optionally manual) target selection. This sets the target attribute to visit the target in the same window or open up a new one. Flexible settings using defaults in the plugin and customizable settings directly in the "Banner Details" tab of each banner's settings. Hassle-free default settings! In most cases, users probably will not need to change any settings, either in the plugin or in the banners. Deals with the case where second call throws errors because your site is on https and the 'click' call is redirected to a non-secure (http) site. 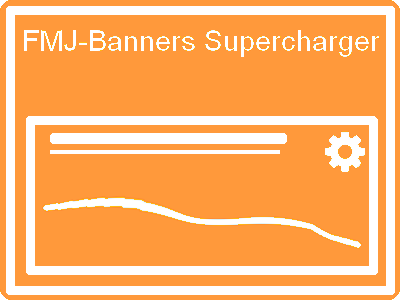 Freedom of putting Banners in any banner module, regardless of the module's target setting! While manipulating the anchor code and if 'Banner SEO-Link' is activated, the plugin removes the target settings that are defined in Joomla's Banner modules' settings. Works with jQuery or MooTools! Also, if the time comes to disable MooTools on your site, this plugin will just keep working as before. Future-Proof! Performance optimized code! The plugin avoids unnecessary database calls, as well as unnecessary code execution. For the user this means faster response times as well as saving cpu cycles and energy, which helps the environment.